My b/f thought his eyes looked a little reddish too. And I am not sure about that picture, lol. Weird. I watched the movie finally and my thoughts were ... eeeh? No, you're right. If you look really close around his neck, there is also a chain. They shot a scene to accompany Edward's explanation when they are first talking about the army, when he talks about reading Aro's mind in Italy and how Aro wanted he and Alice to join the Volturi. It was a "quick flash" of Edward and Alice red-eyed and in Volturi garb, wearing the crest they all wear. They cut it during editing, but I'm hoping we see it on the DVD. This was part of the artistic liberty (sort of) that MR took. The only real change was Riley being from Forks. We don't really find out where he's from in Bree Tanner, but it works pretty well in the story of Eclipse, IMO, almost making Victoria's betrayal of him more sadistic, and also giving him a little more grounding in the story and leading to the discussion between Charlie and Bella about what he would do if it were her. But, the timeline could mesh, though we don't have any full details. New Moon actually starts at the beginning of Bella's senior year, and she goes around spring break or so to rescue Edward. Eclipse actually takes place in the shortest amount of time, just 6 weeks or so. Remember that, to be more controlled and capable of doing what Victoria needs, Riley would have to be past his first year. So, the movie timeline would be something like Victoria comes up with the idea of using newborns to get through the Cullens a few weeks after Twilight ends, during that summer between Twilight & New Moon. During New Moon, she is trying to get to Bella on her own, as well as asking Laurant to test their weaknesses. Once she finds out that the Cullens are gone, she wants to kill Bella herself, so she gives it a go, only to be confronted by the wolves in stead. So, she decides to stick with her newborn plan, putting into full effect when the Cullens return. Was it just me or was Victoria's voice like...gorgeous sounding when she was talking to Riley on the mountain before attacking Edward? I also thought she was prettier too. I liked the new actress. I saw it on Saturday and I loved it. : Seeing what they got up to when Bella and Edward were in Florida was good, Emmett was so close before she jumped again, and the little nod at the end at the battle with him and Paul was great. : Jasper's story was good, and the dream was really all you could visually show to see that Bella had put two and two together and was very cool. : Bella punching Jacob. His face didnt even move, and that was really funny. And the way Taylor delivered the lines about her breaking her hand to Charlie was amazing. : And Bella rejecting Edward over and over, and the way he looked like he was going to *cry* with happiness when she said Yes. I think if we didn't read the books it would feel so jumpy. My husband has enjoyed all 3 so far and he doesn't feel that the movie is jumpy at all. I think it's because we are comparing it to the book while watching the movie. Honestly I am still trying to come down from my Eclipse high so I can think of all the other things I loved about it. I was worried about Bella's bite mark but it looked like the cut her arm out in the scene or they moved the angle of the camera. Which I was so thankful for since her bit mark looked hideous. The first meadow scene oh my goodness. The way Rob moved his hand so gentle and tenderly to make sure he didn't hurt her. Both those scenes make my stomach flutter. I loved the whole new side of Edward that we finally get to see. I also loved how Clare de Lune was playing while she walked up the stairs to his room. I also was very happy with DS keeping track with changing their eye colors. You knew when they were thirsty. I have to agree with some of you brought me right back to Twilight. I could I am still not sick of this movie. I went to see Eclipse midnight (so worth nearly falling asleep in class the next day) then i saw it that weekend. ECLIPSE WAS SOOO FREAKING AWESOME!! The acting was much better all round and Jasper has defiantly come one of my favourite characters. Edward's marriage proposal was sooo cute and romantic!! The soundtrack was weird to me when i first came out but when it saw the movie the soundtrack made more sense i where the songs were played. So out of 10 fangs, i give it 10!!! Oh, one of the lines I thought was hilarious was Jacob in the tent; "After all, I am hotter then you." That cracked me up the way he said it. This came to mind when I was watching it, but I know it was in the books as well. How on earth would Bella be freezing in that part of the book/scene in the movie? I am more then sure that Edward got one of them $200 thermal sleeping bags that are like toasty warm in like 10 degree weather, on top of all the blankets she most likely had. How could she freeze in that? Also, the next day with all the snow on the ground she was just wearing that plaid shirt. I'm sure it was much much colder up there to be wearing more then just that. Hmm...Where was the marshmallow coat? Something else struck me as I was reflecting on Eclipse last night. One of the MANY things often lamented for being left out of both Twilight & New Moon was Bella's prophetic dreams, the way she figures things out in her dreams. I was absolutely ecstatic that they finally brought that back in in Eclipse with her dream reflecting on Jasper's words, calling himself Maria's puppet and then it morphing into Victoria, filling in the blank for her. I was so happy when I saw that. It just adds one more dimension to Bella's character, and one I sorely missed in the first two films. I forgot another thing why I liked this movie. Taylor had a shirt most of the time. I thought it was way over done on NM . That is why I loved Edwards line of doesn't he own a shirt to be perfect. I have seen the movie 4 times so far and just love it. The midnight show screening seemed to go really fast and while I was happy with it, I also missed a lot in my excitement. I always go twice on opening day. The second time I watched the movie I caught a lot of what I missed. I felt the movie is well paced. Is it just me or does anyone else feel like Bella has the most likable parents on the planet? The scene with her mom was so touching, Charlie is hysterical and steals every scene he is in. I finally got my Bella and Edward moments. I felt you could really see the love they have for each other. I'm glad they didnt follow the book to much regarding Bella and Jake. But I did not like how they made it like Bella really wanted Jake to kiss her at the end. Jake manipulates her into that kiss! And she kisses him so he doesnt do anything stupid like get himself killed. I know she realises then that she cares for him, but I think the way they played out that scene is confusing to those that havent read the book. DS finally gave us a meadow to remember. Loved both the meadow scenes. The buildup to the fight was stressful even though I knew nobody would get killed. What I didnt like: Esme's changing hair color in the same film. The shakey camera in Jacobs garage-makes me dizzy. Why is the camera bouncing around? Emmet grabs Victoria and gets thrown off??? This is Emmet we are taking about. Bella getting on the bike with Jake wasnt so bad...Bella yelling at Edward over Jacob finding out she's getting married is just unbelievable. Bella would never do that and it doesnt make sense. Did MR change her mind mid script? Like MR couldnt figure out whether Bella kisses Jake because he manipulates her into it, or because she tries to trick him into thinking they have some chance, or because she's pissed at Edward. MR should have read that chapter before writing that scene. 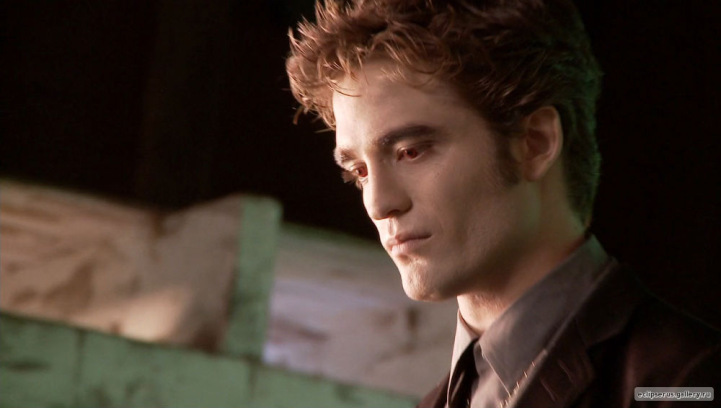 What I loved: Everytime Edward was on screen. Rob nailed Edward again. Love him! The training scene with Alice and Jasper. The background stories of the Quilette tribe, Jasper and Rosalie. Kristen Stewart's acting=amazing. I love her.